This most recent addition to the estate’s wines, made mainly from Mourvèdre, is outstanding for its freshness, its finesse and its elegance. Average age of vines : 19 years. Terroir and Vineyard Management: Arid, stony, clay and limestone soil. The vines are all farmed biodynamically, certified by Demeter. The earth is ploughed and receives absolutely no fertilizer. Harvest: Hand-picked in the morning into small open crates. Vinification: After hand sorting on tables, the grapes are gravity fed into vats. No yeast is added. Traditional vinification with alternate cap immersion and pumping over. Four to five weeks’ maceration. Pneumatic pressing. Maturing: 36 months in concrete eggs. Unfined and unfiltered. Bottled in July 2018. 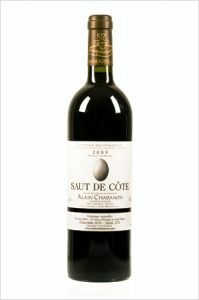 Serving suggestions: Uncork or, even better, decant the wine for at least one hour before serving at around 15°-17°C. At its peak: around 2022-2026.